Since November 1st, the museum has been paying tribute to Patti Birch, the American philanthropist and world citizen whose experiences so enriched the cultural scene of Marrakech, with the exhibition entitled ‘Patti Birch’s travels: passion and collections’. The exhibition comprises 200 items from the collection she built over several decades of travels, until her passing in 2007. The exhibits are organised in six sections: Introduction, Selected pieces of Islamic art, Asiatic art, Pre-Colombian art, Aspects of Judeo-Moroccan art and African art. The exhibition also includes items coming from other museums in Morocco and from a gift of Mr. Khalid El Gharib. 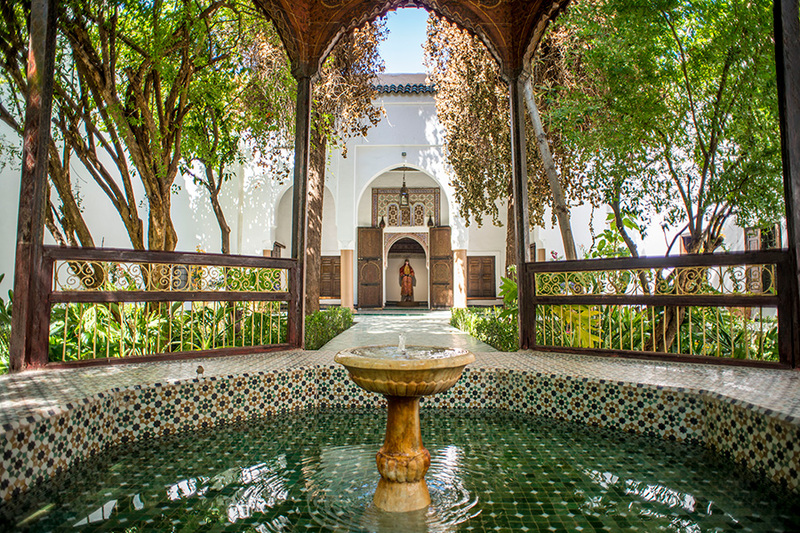 Located in the old Medina of Marrakech, Dar El Bacha is a stately residence built at the start of the 20th century and is a perfect example of a typical Moroccan riad, comprising a rectangular-shaped garden with 6 octagonal rooms on the 4 sides. It displays both the know-how of Moroccan craftsmen and rich decorative elements taking inspiration from Europe, notably Italy. The building was taken over in 2015 by the National Museum Foundation, which carried out the restoration in order to create a museum of ‘confluences’ and show the multi-faceted richness of Moroccan culture. The ‘Creations of Yesterday and Today’ exhibition puts the spotlight on the splendour and diversity of Moroccan weaving. Rural or sophisticated, the level of know-how stands out, both in the materials used and in the finished items (kaftans, bags, babouches, wedding blankets, djellabas, etc.). This collection is complemented by a display of jewellery, women’s ceremonial accessories, arms, daily objects, etc., coming from the collections of the National Museums Foundation. Another section of the exhibition is dedicated to carpets as important social and historic references. The accent is on production and its representation, focusing on the diversity of centres of production, which fall into two broad categories – rural carpets and urban carpets. Free entry each Friday for Moroccans and residents and each Wednesday for Moroccan and foreign students. Free entry for people living in the vicinity of the museum. 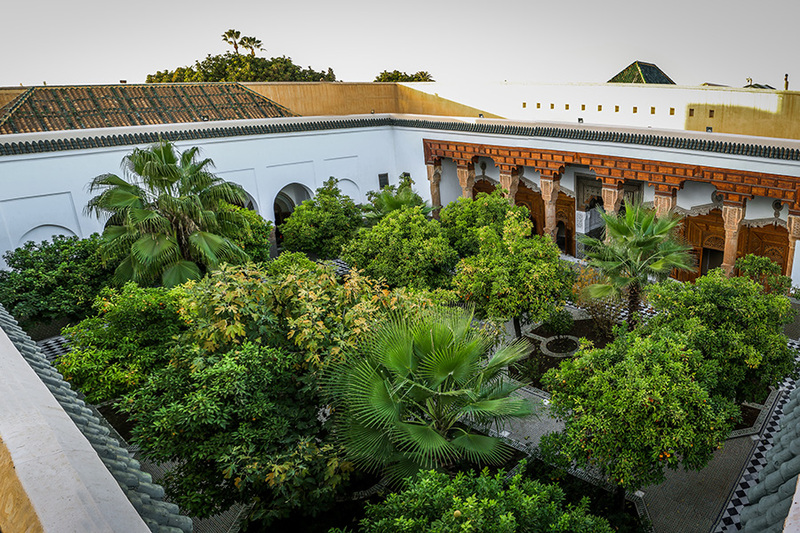 In the heart of the old medina of the Ochre City, Dar Si Saïd is a real architectural gem. This palace, which was built for Si Saïd Ben Moussa – who held the position of Minister of War under the regency of his brother Ba Hmad, is an excellent example of 19th century local Moroccan architecture, both through its decoration and its structure. After it was handed over to the Moroccan National Museums Foundation and following its restoration, it re-opened its doors to offer visitors the perfect venue for admiring the ancestral arts of weaving and carpets. The exhibition entitled ‘The Moroccans’ is the occasion to display around thirty portraits of ‘Moroccans’, some on show for the first time. ‘The Moroccans’ was one of the last projects of Leila Alaoui, the Franco-Moroccan photographer who tragically died from injuries sustained during the attack of Ouagadougou on January 15th 2016. Nearly three years later, the Yves Saint Laurent Museum Marrakech, in partnership with the Leila Alaoui Foundation, is presenting this work in Marrakech, the city where she grew up and where she knew Yves Saint Laurent as a child. This series of portraits also shows the cultural diversity of Morocco and is given pride of place in the heart of the Berber Museum in the Majorelle Garden. 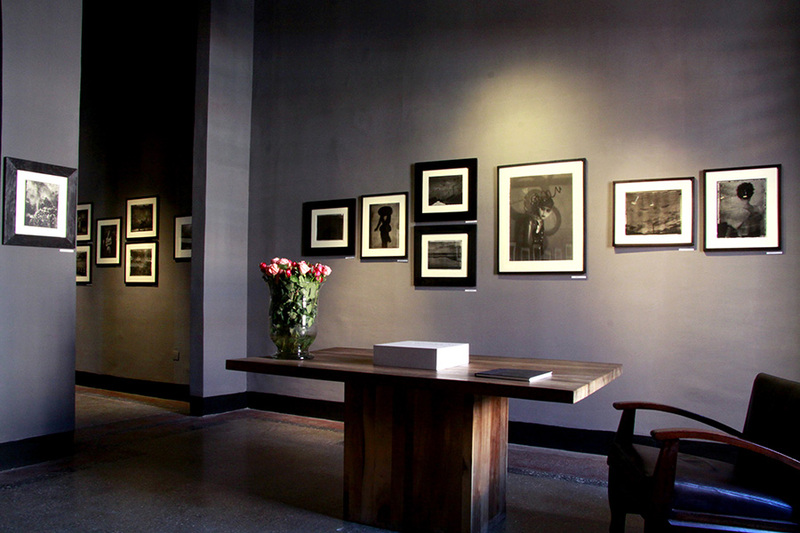 The exhibition is curated by Guillaume de Sardes, writer-photographer and exhibition curator. Until 5th February, 2019. Near the Majorelle Garden, this building, covering 4,000 square metres, was created to be a true cultural centre. 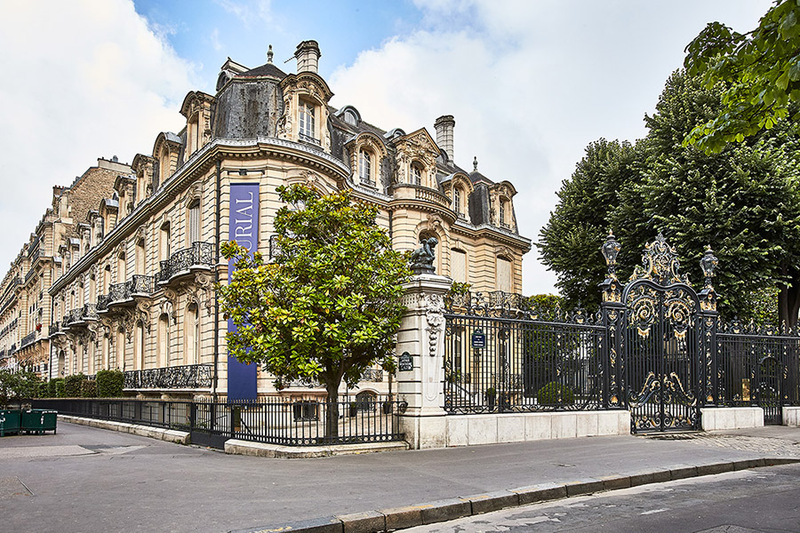 It houses an exhibition room with a permanent display showing 40 years of creation from the Yves Saint Laurent couture house (1962 – 2002), a temporary exhibitions room, a photography gallery, an auditorium, a research library, a bookshop and a cafe-restaurant. An underground part dedicated to collections provides the best conditions for preserving works of art. It took the French painter Jacques Majorelle (1886 – 1962) forty years of passion to create this magical place, today in the heart of the Red City. A multi-faceted site, the visit starts with the garden, which today covers just over an acre. 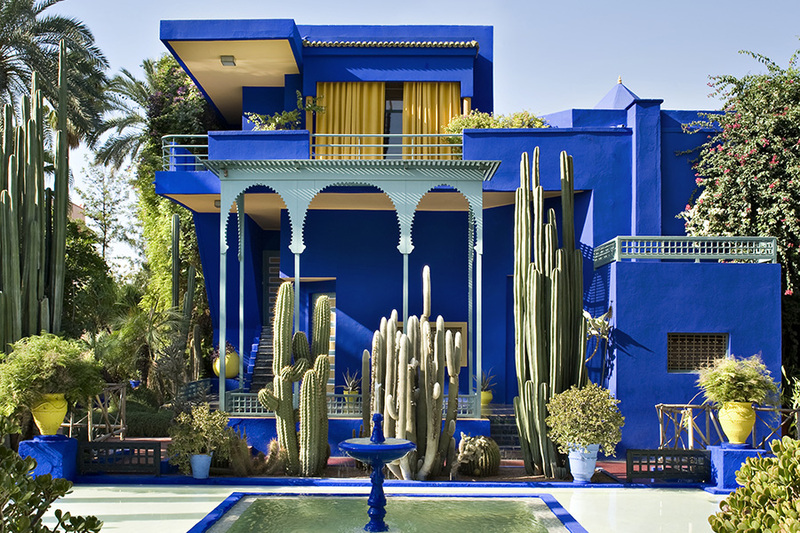 While strolling through the collections of trees and exotic plants, landscaped to bring out their beauty, the visitor can also admire the different architectural styles, including that of the painter’s villa-studio which has been converted into a museum, brightly coloured and dominated by ‘Majorelle blue’. All together, it is a haven of calm and coolness. The Berber Museum is located in Jacques Majorelle’s former studio and presents an overview of the extraordinary creativity of the Berbers, the oldest of the peoples of North Africa. Coming from all over Morocco, from the Rif to the Sahara, more than 600 objects show the richness and the diversity of this still-flourishing culture. 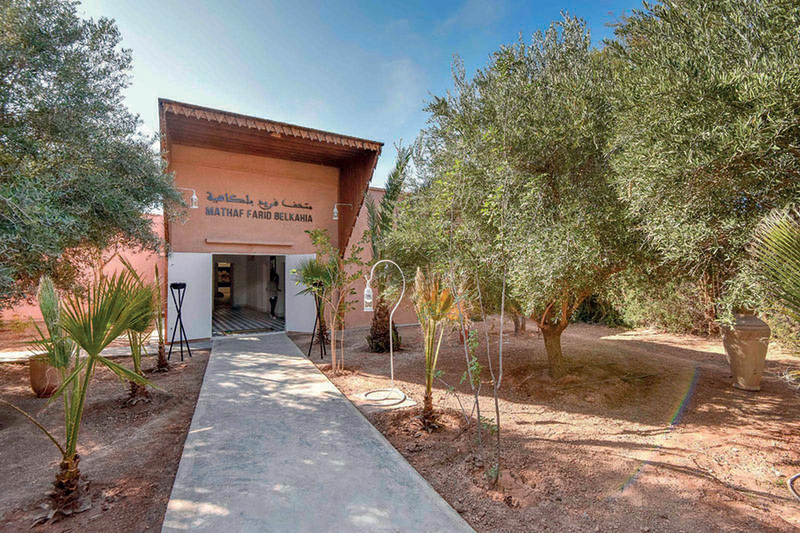 A Moroccan public institution, recognised as a self-financing, non-profit organisation, the Majorelle Garden Foundation looks after the preservation and the operation of the Majorelle Garden, the Berber Museum and the Yves Saint Laurent Museum Marrakech. 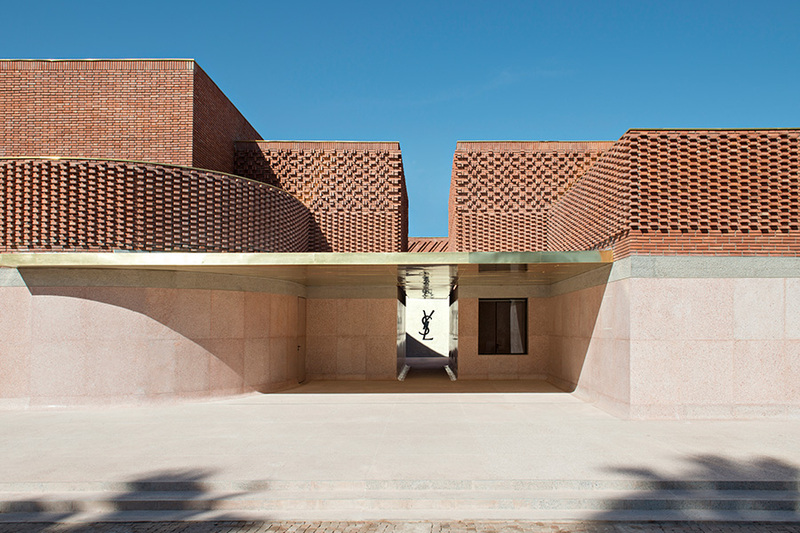 Its revenues enabled it to open the Berber Museum in 2011 and the Yves Saint Laurent Museum Marrakech in October 2017. All profits are reinvested within Morocco to finance the cultural, educational and social programmes that it supports. As part of its exhibition programme, the Farid Belkahia Foundation will be holding an exhibition dedicated to Farid Belkahia and the Casablanca School of Fine Arts from 21st December 2018 to 22nd June 2019. This exhibition aims to highlight a crucial period in the artist’s life and his quest for artistic modernity in Morocco. Furthermore, the Farid Belkahia Foundation is currently preparing a catalogue raisonné of the artist, with publication planned in 2020 by Skira publishers in Paris. Publication of a catalogue raisonné is a vital undertaking in the career of a painter and requires long and arduous research, with the final aim of cataloguing all of the artist’s output and deterring forgers. Founded in March 2015, the Farid Belkahia Foundation is dedicated to increasing awareness of the work of the artist Farid Belhahia (1934 – 2014). In February 2016 the Mathaf Farid Belkahia Museum was inaugurated, located in the very studio where the artist worked for nearly 30 years. The Foundation’s intention is to keep the memory alive of the founder of artistic modernity in Morocco and to share this with a wider public through exhibitions and encouraging research through grants and prizes. The Montresso Art Foundation is showing the work of two artists. Firstly, that of Hendrik Beikirch, with the the ‘Siberia’ project, until 31st December. This tells of the artist’s encounter with the remote vastness that is Siberia and the story of these faces, with the question of their personal treasure as a starting point. From 10th December, the Foundation will be showing the artist-in-residence project ‘Conditions suspensives’ by David Mesguich. Over 10 years, the artist explored public places as a graffiti artist. Today, using sculpture and sketches, David Mesguich catalogues the component parts of an aesthetic of omnipresent control. Through polymorphic practices, the artist questions the place of man in our urban environments and packaged places with borders and limits which compartmentalise and constrain freedom of movement and of thought. Presentation of the work ‘SIBERIA’ by the artist Hendrik Beikirch, with a book signing session (Mare & Martin publishers) at the Saadi Marrakech Resort. 26th and 27th December from 3:00 to 6:00 pm, 31st December and 4th and 5th January 2019 from 9:30 am to 1:00 pm, guided tours by appointment. 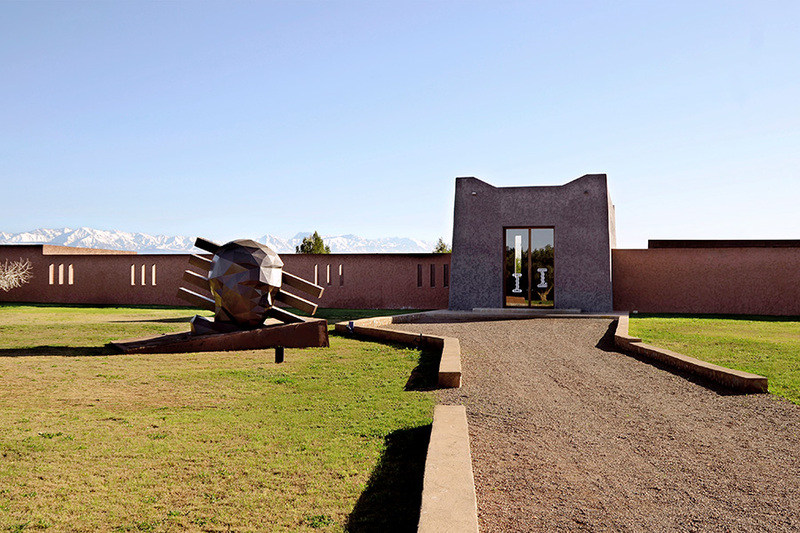 The Montresso Art Foundation has been in Morocco since 2009, it is a hybrid establishment whose twin missions are to support artistic creation and to promote diversity in the fields of current artistic research. Through its Jardin Rouge artists-in-residence programme, its art area and its extra-mural activities, the Montresso Art Foundation is fully invested in the promotion of its artists through multiple approaches while also participating in the artistic rise of Marrakech, working alongside local cultural players. The Foundation encourages meetings and dialogue between different pictorial and intellectual angles. The gallery is presenting the works of two artists. Michele Ciacciofera works with a wide variety of techniques and materials, from drawing to sculpture. Deeply influenced by Mediterranean culture, his artistic approach brings to mind a world moulded by tradition and ruled by cosmology, primitive archetypes and nature which has today become transformed. Using various materials, M’Barek Bouhchichi’s develops his art through an experimental language based on exploring the limits between internal and external dialogue. In his recent work he has concentrated on the history of black Berbers in the south of Morocco, and symbolically destabilises existing divisions of space and work. Established in Marrakech in 2011, the main aim of VOICE Gallery is to create a programme of socially and geographically committed exhibitions which will challenge western perceptions of art, especially the stereotypes of African art, while also paying homage to the history of the city’s interactions. Driven by the principles of transformation and exchanges, VOICE works to create dialogues reflecting cultural turmoil and artistic traditions. By highlighting both local and international artists, the gallery is creating networks where emerging artists work together and escape the bounds of identity and of cultural origins. The gallery is presenting a ‘Tribute to Hassan El Glaoui’, with 25 works from this major Moroccan artist enabling us to discover the extraordinary career of the son of the last Pasha of Marrakech. He became a painter because of Winston Churchill, a close friend of his father. Throughout his career this unassuming man depicted men on horseback in an original way and using captivating colours. 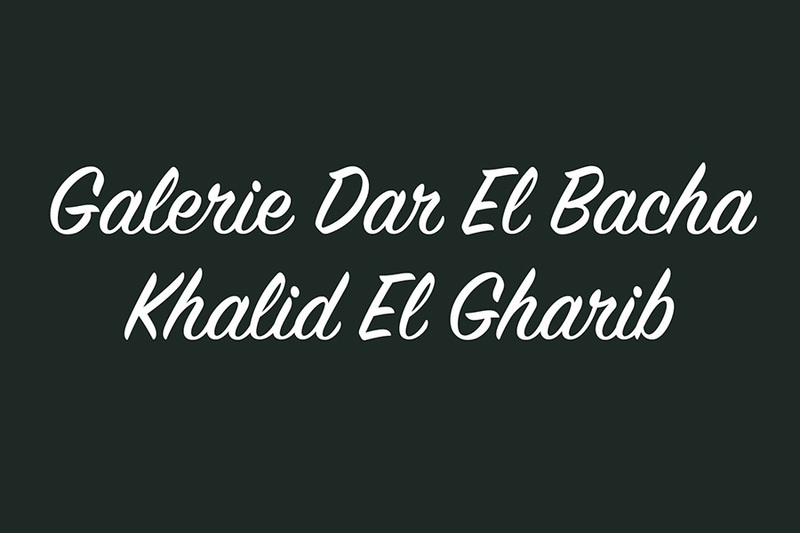 The Dar El Bacha Gallery was founded 10 years ago by renowned antique dealer Khalid Guarib. From the very beginning the gallery has always specialised in Moroccan and Orientalist art and has become an indispensable address for connoisseurs and collectors. The gallery also holds major exhibitions on Moroccan textiles along with producing reference catalogues. The David Bloch Gallery is presenting an exhibition dedicated to Sébastien Preschoux entitled ‘Straight to the Curve’, starting 14th December 2018. This will be his 5th solo exhibition at the gallery. Deeply affected by Op art, as well as by the teachings of Bauhaus favouring instruction based on the fundamental values of manual work, Sébastien is creating ever more complex drawings. Through this approach he creates visual confusion for the onlooker, leading the latter to wonder about the origin (human or mechanical) of his works. His work explores production in 2 and 3 dimensions. These wire installations are often produced in a natural setting. Photographed by Ludovic Le Couster, his wire pieces take on an almost surreal aspect which tends to mix prints and photo-montages. 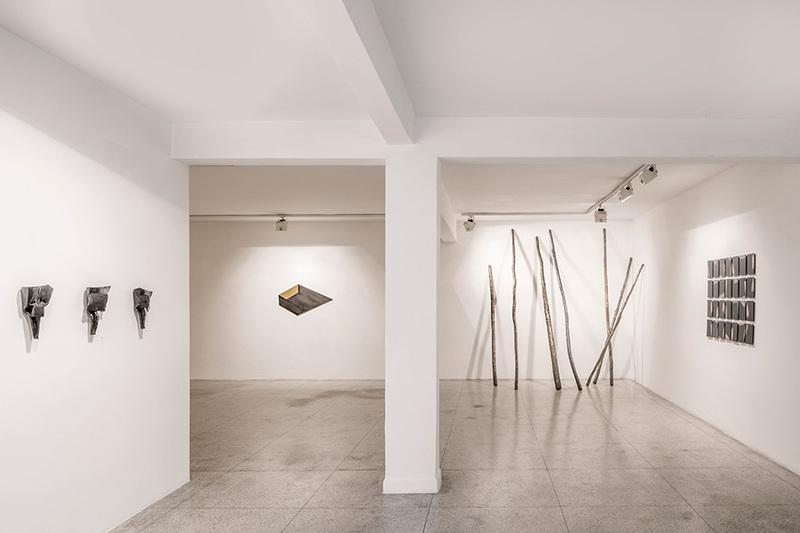 David Bloch Gallery is a contemporary art venue intended for everyone – novice, connoisseur or serious collector. The gallery encourages long-term artistic collaborations and takes a particular interest in the moral convictions of the artist and his or her work. In partnership with the Riad El Fenn, Willem Smit and Vanessa Branson, Loft Art Gallery is presenting the work of two artists – ‘The artists exhibiting offer a vision of contemporaneity, as they represent the ferment, the energy, the vision and the aesthetic of local populations and tell of the Africa of today. But above all, through their work, they each confront contemporary socio-political issues which concern not only the continent, but resonate internationally’. – Maria Pia Bernardoni, curator. 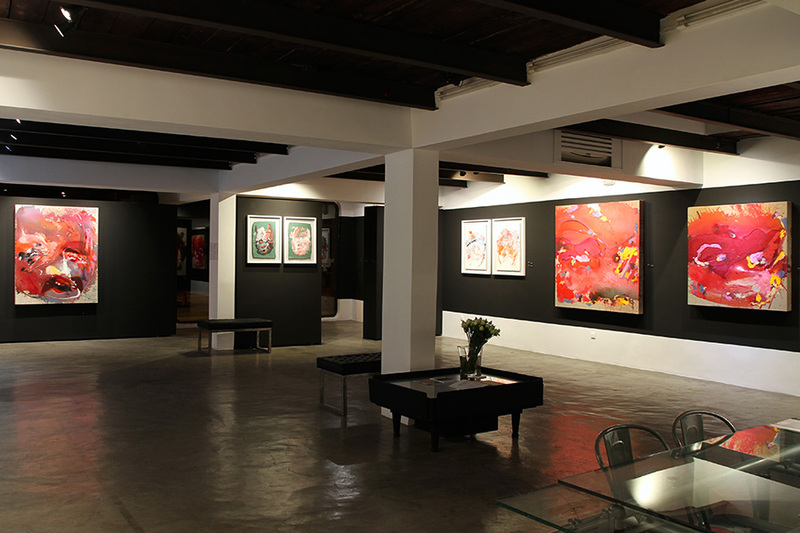 Founded in 2009, Loft Art Gallery is active at the meeting point of several horizons; its aim is the strengthening of ties with the international art world by choosing to offer artists from North Africa and the rest of the African continent a pathway to Europe and the Middle East. In the pursuit of promoting the artists that the gallery represents, it works in close collaboration with international institutions such as the Pompidou Centre, the Mathaf in Doha, to MAMAC in Nice, the Giverny Foundation and the Institute of the Arab World in Paris. Thus the gallery is a key participant in increasing awareness of an important section of Moroccan art. The gallery is presenting an exhibition around the female face: ‘Portrait(s) of Women’ which brings together a collection of photographs taken by female photographers: Carolle Benitah, Fatima Mazmouz, Flore, Sandrine Rousseau, Safaa Mazirh and Asmaa Akhnouch, as well as by Denis Dailleux. A meeting with Fatima Mazmouz around her latest series of photographs ‘Bouzbir’. This collection of photographs deals with the district of Casablanca reserved for the French army. Bouzbir brings together around 20 photographs from colonial post cards or photographs from this period, used for the purposes of propaganda in support of colonial actions. Gallery 127, founded in 2006 by Nathalie Locatelli, is the only gallery in the Maghreb exclusively dedicated to contemporary photography. 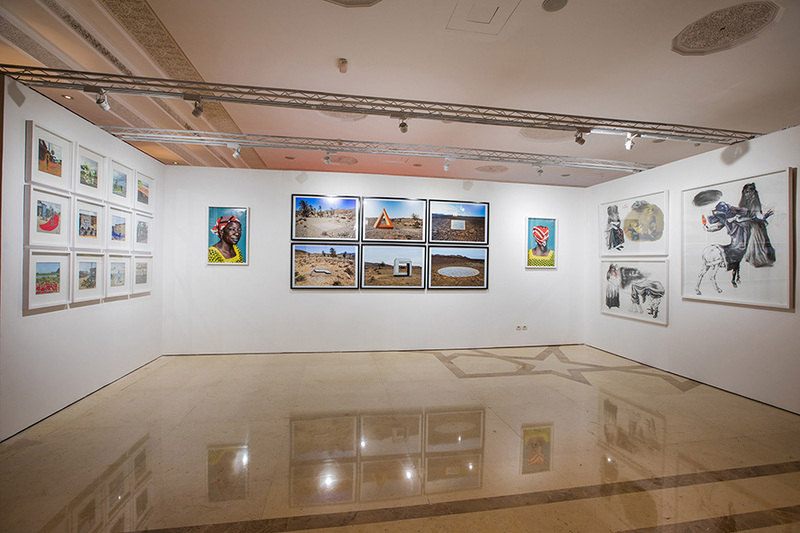 Since opening, the gallery has organised more than 70 exhibitions, both in Morocco and internationally, notably at Paris Photo in 2009, Paris Photo Los Angeles in 2014 and Paris Photography Month in 2015. Both Moroccan and international artists are represented. Equally interested by Morocco’s visual heritage, the gallery has organised exhibitions on ‘The Imagery of His Majesty King Mohamed V’ and the Daoud Aoulad-Syad retrospective in Morocco’s French Institutes. Just before this year comes to a close, Artcurial will be auctioning an exceptional private Italian collection of Orientalist paintings, including works by Giradet, Pasini, Dinet, Corrodi, Frère, etc., many artists who painted around the Mediterranean, a real voyage of discovery – from Constantinople to Tangier. In a different vein, the 5th edition of Majorelle and his Contemporaries, dedicated to modern Moroccan art with works by Chabia, Glaoui, Gharbaoui and Belkahia will be, for the first time, linked with Made in Morocco. The auction will conclude with a second sale dedicated to contemporary African art – African Spirit – offering artworks from Seydou Keïta, Cheri Samba, Konaté, Bodys Isek Kingelez, Osmane Sow and others. These auctions will take place on 30th December 2018 in Paris with a livelink to Marrakech as part of the first edition of Marrakech Art Week. Artcurial Is an international auction house based at 7, Rond Point des Champs-Elysées in Paris. With auctions held mainly in Paris and Monaco, Artcurial organises around 100 sales per year covering more than 25 areas of expertise – including fine arts, decorative arts, jewellery, horology, classic cars and fine wines and spirits. Artcurial is also very present in the rest of Europe with offices in Germany, Austria, Belgium, Italy and Monaco as well as developing numerous other activities, mainly in the US and in Morocco.